The Federal Housing Administration, in a major policy change, has announced easier rules for people looking to get a mortgage after bankruptcy. The Federal Housing Administration will allow a bankruptcy debtor to get a mortgage backed by FHA in as little as one year after bankruptcy - if certain minimal criteria are met. The one year timeframe also applies to short sales and even foreclosures. This is yet another acknowledgment that the â€œstigmaâ€ of bankruptcy has been replaced by the â€œnecessityâ€ of bankruptcy. 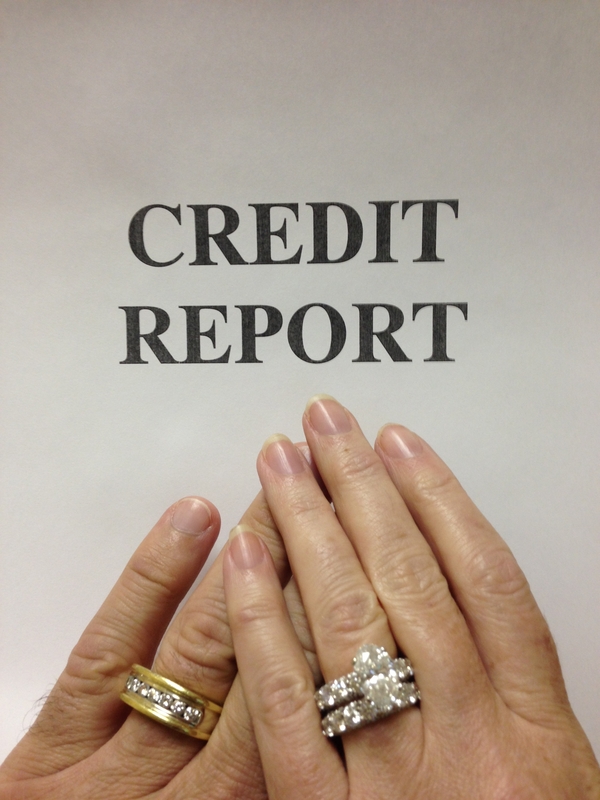 I Love You, but before I pop "the question", I am going to need to see your most recent credit reports! In Florida, marriage does not make you automatically responsible for your husband's/wife's debts. If marriage bound you to pay for your husband's/wife's debts, people would not get married without a thorough background check and credit check. I know I would have been quite a bit more diligent in my research. Sorry Honey, but it's the truth. Would you marry someone with $50,000 in past credit card debt or medical bills? How about someone who purchased a house at the wrong time and went through foreclosure and is facing a deficiency judgment? Many husbands/wives believe that they are responsible for their spouse's debts despite not having signed for the debt. I don't know where this idea came from but I hear it all the time, and it scares me that people believe it is true. This question comes up quite a bit when discussing financial problems at an initial bankruptcy consultation. I cannot speak for other states, but in Florida, nothing can be further from the truth. So, I always ask a husband and a wife, to split the debts that they would like to include in the bankruptcy and see who is responsible for each and every debt. The reason for doing so is simple: It may not always be in the best interests of both parties to file for bankruptcy, and if there is one thing that I have learned during my years as a bankruptcy attorney, it's that you never know what the future will hold. When you file for Chapter 7 bankruptcy, there are some things you get to keep and other things you can't protect. Knowing the ground rules makes the process easier for all involved. The bankruptcy laws recognize that when you're in debt, you shouldn't be penalized by having all of your stuff carted away and sold for your creditors. It's not all for your benefit, however. If you were rendered penniless, it would be difficult for you to keep from becoming a burden on the government in the form of housing, clothing, and public assistance benefits. Rather than having to give up your stuff when you file for bankruptcy, you can claim what's called an exemption on certain property up to specified dollar limits. But all exemptions are not created equal. Here's what you need to know. 27 Aug Western Sky On-Line Payday Lender To Stop Making Loans! The information your bankruptcy lawyer needs will go stale in a short time. Keeping up the freshness is important to the success of your case. Bankruptcy information is like milk: it smells after it sits for a while. Dump your data on your lawyer, then drop out of sight, and you risk that your bankruptcy filing based on that old information will be seriously inaccurate. Here's why you don't want your bankruptcy information to go stale.